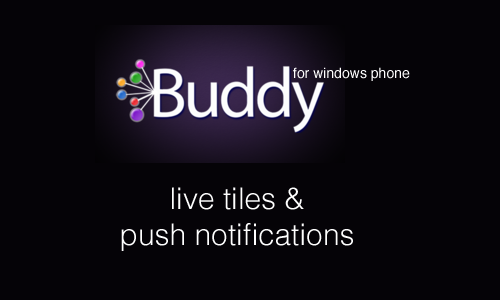 In September of last year we wrote about the startup created by two ex-Microsofties called Buddy. Buddy is a cloud platform that has support for all the major mobile Operating Systems (and HTML5), and makes it really easy to integrate web services into your app. With a few lines of code you could add a high score list, or get push notifications and Live-Tile updates out to all of your users, and that is just the basic stuff. There is support for a wide range of other usage scenarios which you can checkout in their documentation. 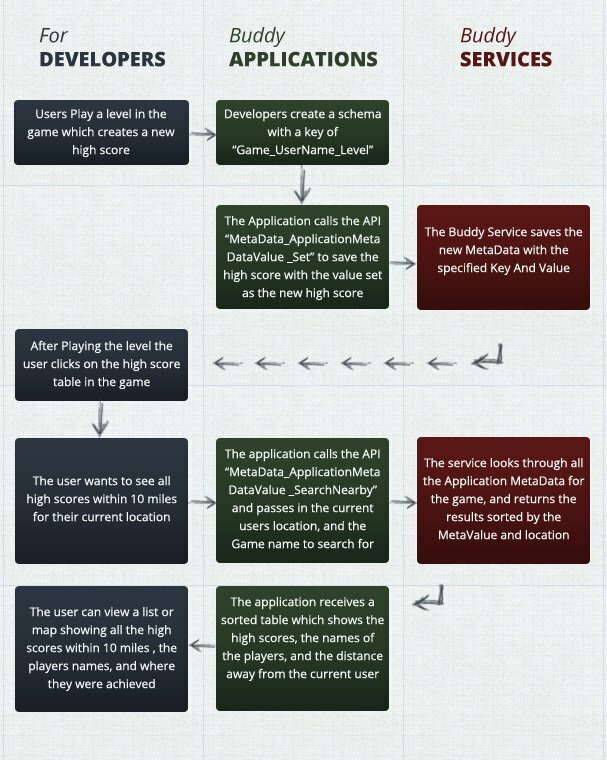 Up until now there were different price tiers based on your usage, starting at a free account which provided enough API transactions for most small apps. But to celebrate reaching 5000 signed-up developers, the service is now totally free until August! ... and a pre-v1.0 launch gift! We have great news that we want to share - but first, since our launch in beta last September we've been THRILLED with the support we've received from the mobile app development community the world over. In fact, we're pleased to announce that we now have 5000 developers on the Buddy Platform - so thank you to every single one of you for your support, your feedback and your contributions so far! The Buddy team has been working super hard (in fact so hard, that we need more people! Click here to learn more about opportunities to join our team), and we're in the final prep stages before we emerge from beta and release our v1.0 product. To celebrate, we want to give our developers FREE access for all accounts consuming less than 2 million API calls per month - and we're going to continue doing so until August! So if you've been thinking about building an app on Buddy - there's never been a better time to get your feet wet. To get started, download our free full code samples for iOS, Android and Windows Phone - these are full apps that will compile and execute - and tinker away from there! Thanks again for your support, and we look forward to sharing more info on our post-v1.0 launch pricing shortly! So if you aren't looking forward to forking out for Azure (or learning it for that matter), now is a great time to jump on board. Hit the source below to sign-up.